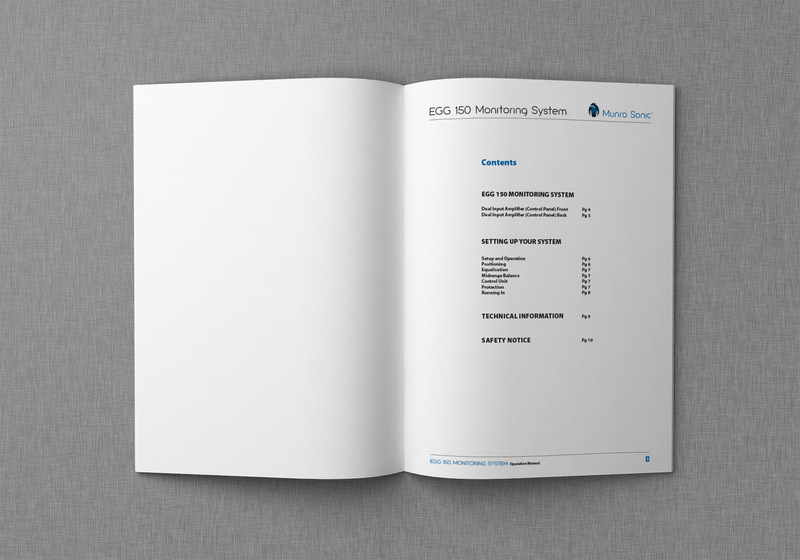 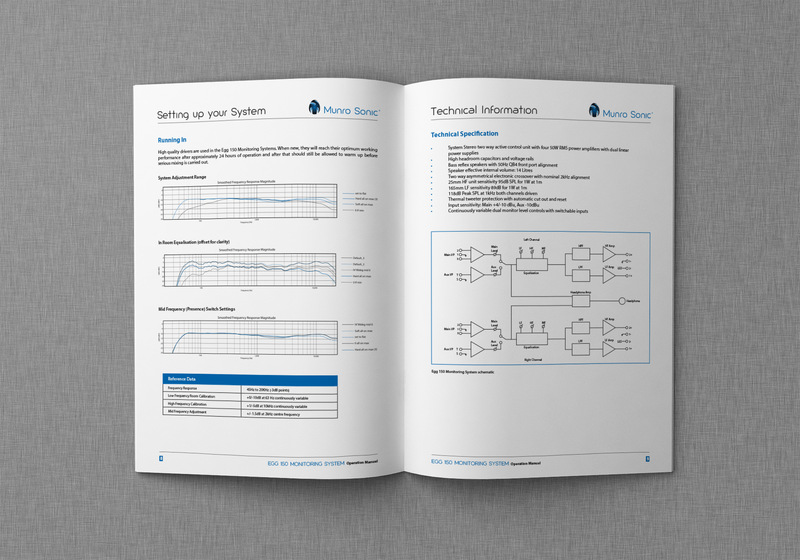 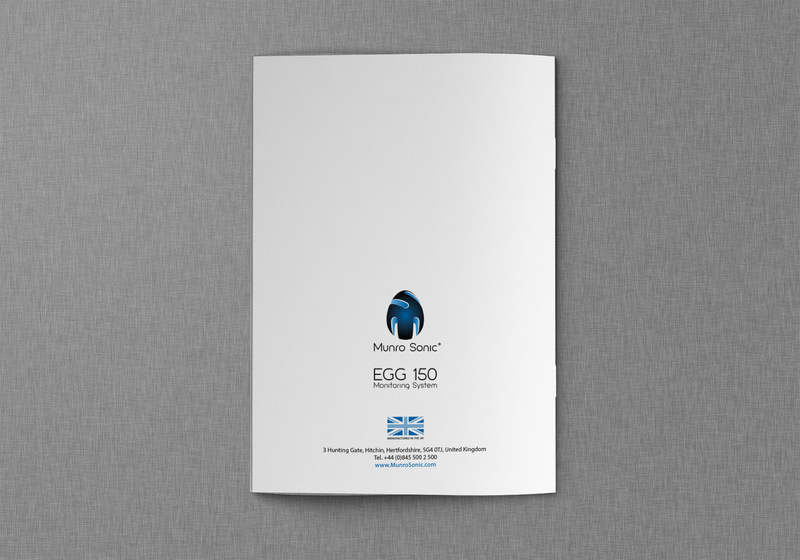 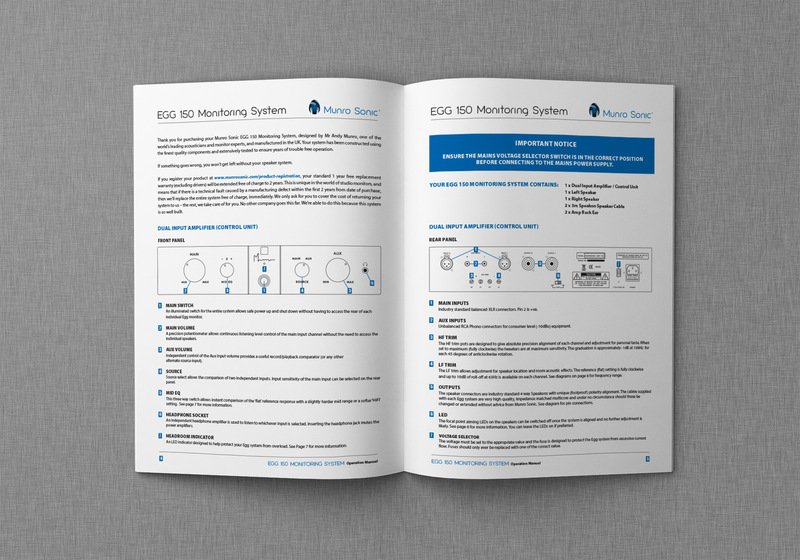 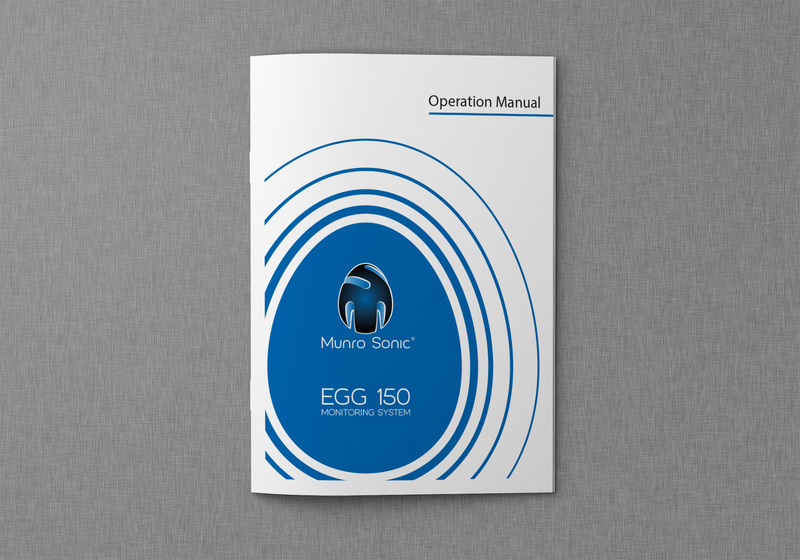 A ten page operation manual for the MunroSonic EGG monitor speaker systems. 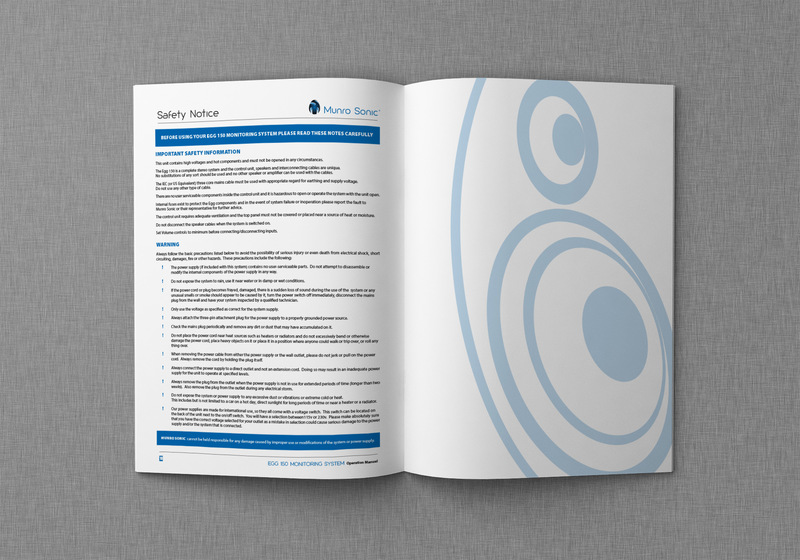 Clarity of information is paramount in this user guide and to keep the conveyance of information as clear and direct as possible, just two colours were used throughout the guide. 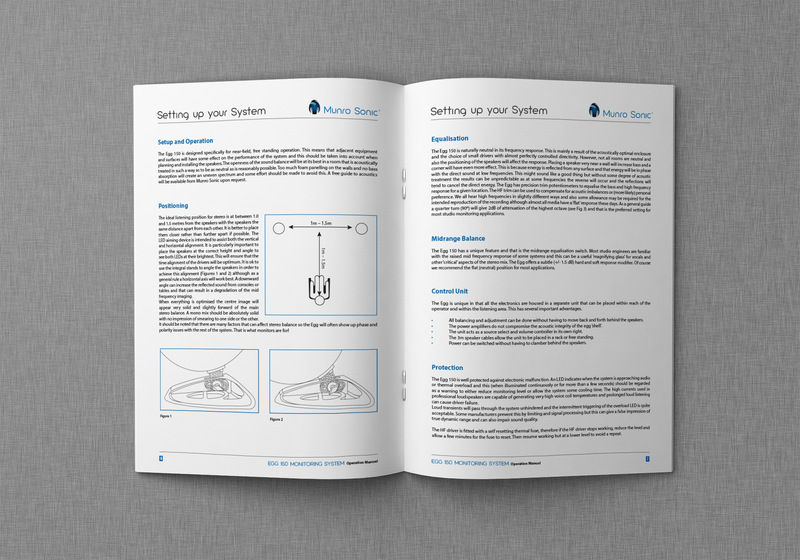 Illustrations were used to compliment the instructions and clear visual colour cues and simple, short paragraphs make reading as easy as possible.